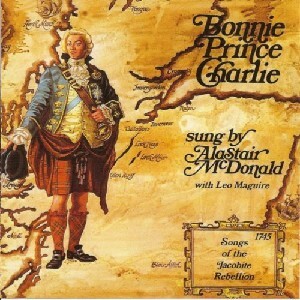 Bonnie Prince Charlie, The Scottish Music Shop - The Best Selection of Scottish CDs and Scottish DVDs. Twelve songs of the Jacobite Rebellion, each with an introduction by the well known Scottish actor Leo Macuire. Leo's warm, honest voice manages to convey the sharp tang of the Outer Isles without losing the bustling cheek of the Gorbals.